If you’re looking to expand into real estate investing, you’ve got a lot of options to choose from. You can rehab and flip houses; you can invest in mortgage pre-foreclosures; you can invest in tax liens; or, you can buy tax deed property, which is quickly becoming the most profitable sector of the real estate investing industry. Skip the tax sale. There are too many bidders to get a really good deal there, and you need lots of cash to be a contender. Besides, you can’t inspect the properties beforehand and sometimes have wait a year or years before you can become the rightful owner of the property. In that period of time, lots of things can happen. It’s best to buy tax deed property that you can get now. The best way to do that is to invest in tax deed property in states where there is a redemption period after the tax sale– a grace period where the property has technically been sold, but where the owner can come back and pay off the taxes, penalties, and interest and “rescue” his or her property. You can easily narrow down which properties are desirable, just by looking to see what happened at the recent tax sale. This will, at the very least, help you weed out which properties are worthless. Once you’ve figured out which properties you’d like to buy, the next thing to do is a no-brainer: contact the tax delinquent owner of the property and see who they are and what they plan to do with the property. Many of them will be planning to pay off the taxes, and the rest will fall into two groups: people who can’t pay their taxes, and absentee owners who either don’t know that the property is in tax sale, or who don’t want the property anymore. The first group, the indigent owners, are in a bind. They either need to sell, or they will lose everything. You can make a deal with them to buy the property for dirt cheap, and everyone wins: you get a great deal, and they walk away with a little cash. Or, you can offer to try to sell for them (called “optioning”) for a specified price, and then try to sell for higher than that to make some quick and easy cash. The second group, the absentee owners, are likely former landlords who decided they didn’t like the landlording business; unwitting heirs who inherited property they really don’t want or don’t know about; investor “wanna-be”s who never got around to flipping the property; or simply people who bought some extra land for a deal, and got tired of owning it. Maybe they even bought it as tax deed property in the past and then decided they didn’t like being investors. These absentee owners are your gold mine. They often just don’t want to deal with the property anymore, and you can get these deeds for hundreds of dollars much of the time. Sometimes these owners will just give you the property, to get it out of their name and to move on. Find these owners, and you’ll have a serious head start investing in tax deed property. 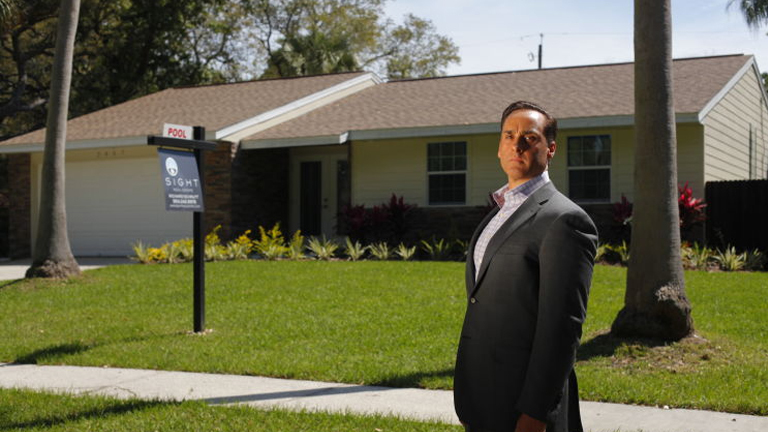 This little-known method of investing in tax foreclosure properties is known as “deed grabbing” amongst the small number of real estate investors that practice it. It’s not difficult to do, and best of all, there’s very little competition in this field. Due to the current economic climate, there are more tax foreclosures than ever before, and will likely continue to be for some time. Be the first to comment on "Tax Deed Property – A Valuable Addition to Your Investment Portfolio"